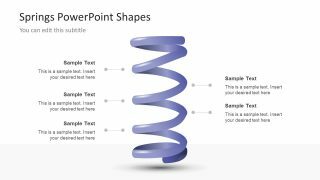 The Springs PowerPoint Shapes are an exceptional process flow templates of spiral diagrams. These shapes give a dynamic view of the main topic while presenting the transformation of processes. This PowerPoint of springs helps explain the circular procedures to complete a project development or an activity. The template contains various spring clipart icons of assorting lengths and colors. 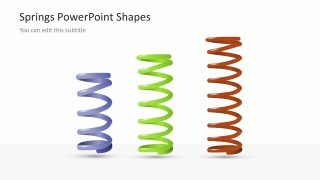 Such as, the multi-color springs slide, plain white clipart and spiral diagrams of 4 and 5 segments. 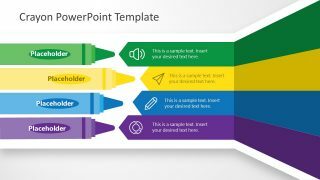 Although, the PowerPoint template of creative icons is incredibly useful for organizational and business process. However, it helps the viewers to see the processes moving towards the next phases. 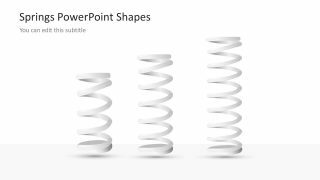 The flat vector template of Springs PowerPoint Shapes shows the stages of cyclical processes. The PowerPoint of colorful springs assists in presenting different distinguishable activities. Further, the template visually presents the continuing movement in vertical spiral spring icons. 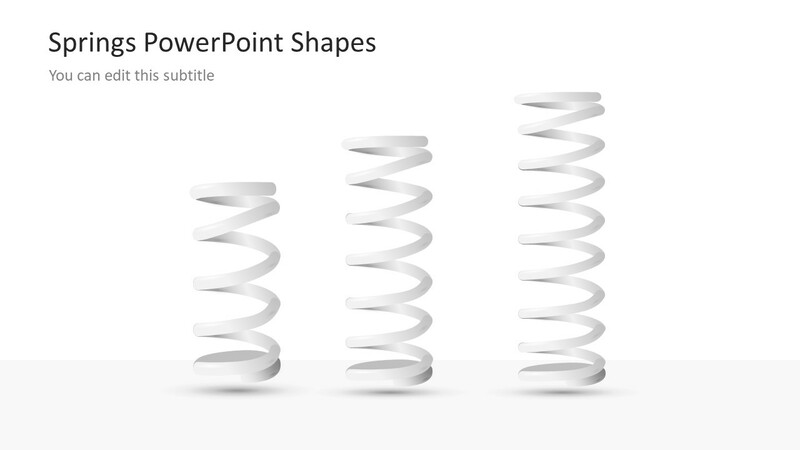 The PowerPoint slides of springs are 100% editable shapes. Therefore, the users can customize the colors, sizes and the placement of clipart icons. For instance, rotate the vertical position of a spring to present it horizontally by simply dragging the circular arrow. 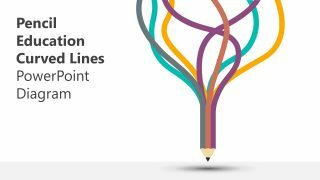 The 4 slide PowerPoint has three spirals with the placeholders to provide useful insights of the topic. The slides have further customization features like backgrounds and animations. Whereas, the users can select the desire flat spring template to use in their main presentation. The Springs shapes are useful graphic tool to facilitate the audience in grasping the concept in discussion. For example, the diagrams of 3D spiral designs concept present the phase wise transformation in one slide. Whereas, the 4 segment diagram contains title and description placeholders representing the phases by highlighting the number order. 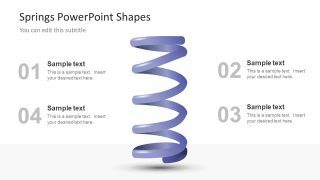 The PowerPoint diagram of spiral shapes displays the diversity with the twists. Therefore, the users can explain complex development processes to the clients and team.